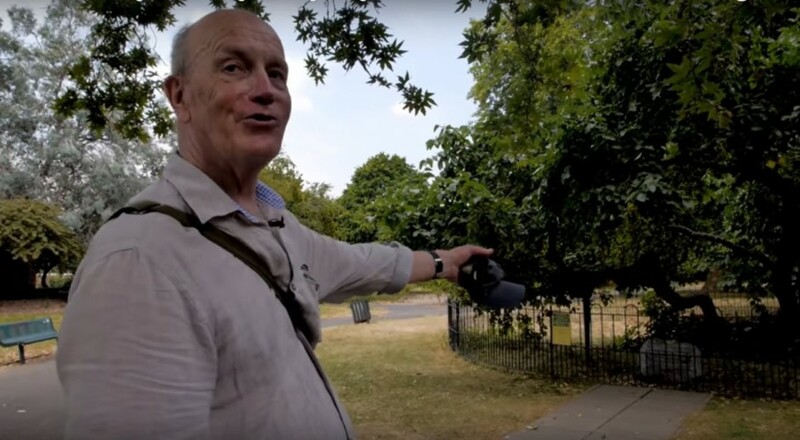 July 2018 and I found myself back out walking with Iain Sinclair, this time retracing one of the walks in his latest book, Living with Buildings and walking with ghosts. We met by Canada Water Station and Iain explained how the book was associated with the Wellcome Collection exhibition of the same name, but was its own beast driven by Iain’s narrative. We proceeded past the old Evening Standard printing works, now slated for development, through Greenland Dock bound for the Pepys Estate – once the home of film-maker Andrew Kötting and featured in the book. After paying homage we moved on to the next key location in this particular chapter of Living with Buildings – John Evelyn’s Mulberry tree at Sayes Court Park. Walking with Iain is always a magical experience, layers of London history and lore kicked up and chewed over with every step along the way. The book, in some ways, is Iain Sinclair’s most traditionally psychogeographical work, exploring the very tangible relationship between the built environment and human health and psyche. 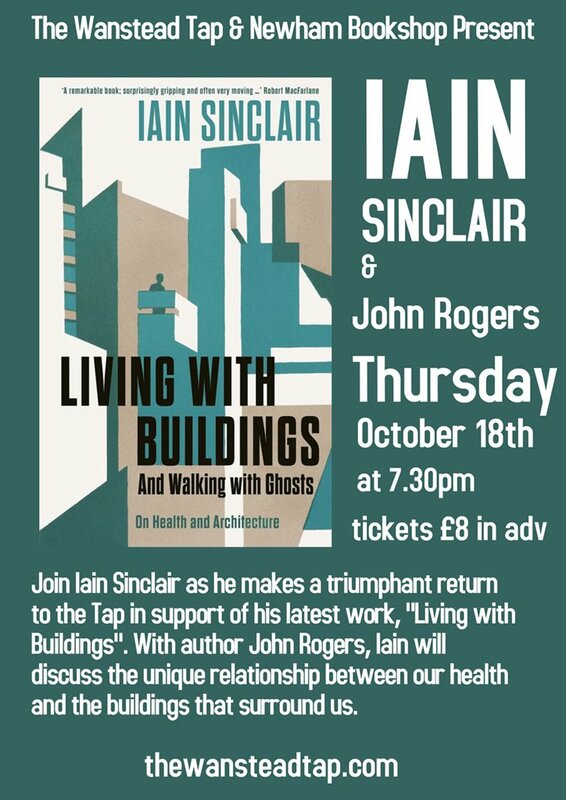 I was very fortunate to have the opportunity to further discuss the book and Iain’s work in general at the brilliant Wanstead Tap when Living with Buildings was published in October – as you can see in the video below.